According to the IMF, the U.S. dollar is known as the “Global Reserve Currency”. There are a number of reasons for this, but mainly because it’s backed by the U.S. economy. That economy is fraught with uncertainty at the moment. But that isn’t the only issue plaguing the U.S. dollar’s dominance in the global markets. But the amount of USD-denominated exchange reserves ticked down to $6.62 trillion, and the dollar’s share of global foreign exchanges reserves dropped to 61.7%, the lowest since 2013. This is not good. Last year, pressure on the dollar as global reserve currency was threatened by both Russia and China in “petro-currency” wars. Even smaller countries were attempting to apply pressure on the dollar, including Germany. 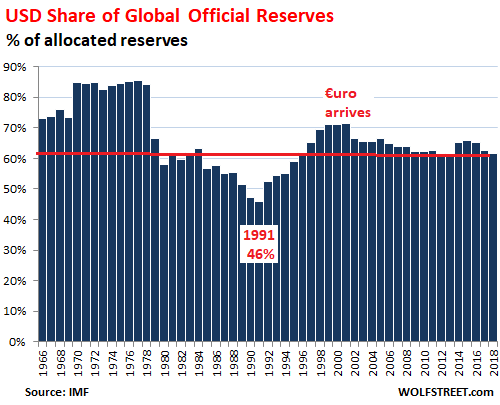 But perhaps more alarming is the dollar seems to be slipping down towards 1991 levels, where according to the same chart, it accounted for only 46% of the global reserve. 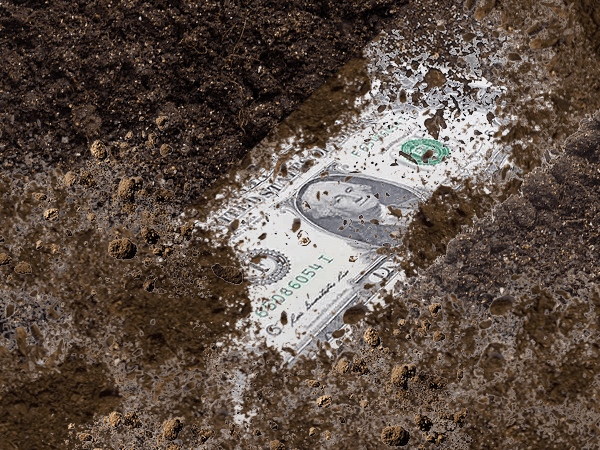 If the dollar keeps dropping, that could severely impact purchasing power and, under current market tensions, possibly drive inflation out of control. The U.S. dollar declines when the dollar’s value is lower compared to other currencies in the foreign exchange market. It means the dollar index falls. But the dollar index (DXY) isn’t declining, at least for the moment. It has remained fairly steady since June 2018 after recovering from a loss of over 4% in January.